Ever wondered where the Bean Loved name comes from? Where the passion started? And just what plans are afoot in the future? So where did the Bean Loved name come from? When I was working for one of the UK’s leading independent coffee roasters, one of my clients was a beauty business called “Loved.” The business owner at that time wanted to introduce coffee into her business so that her clients as well as passers by could enjoy a great coffee. She was trying to think of a name to combine the two sides of her business and I suggested bringing in the “Bean” to her “Loved!” as I thought it would work perfectly. In the end she decided on a different name and so when I came to developing the concept for a coffee bar, I knew I didn’t want this name to go to waste, and so Bean Loved came to life! When did you first realise your passion for coffee? When I first started working in the coffee roasting business, which was 22 years ago! I worked for the largest independent coffee roaster in the country with a really passionate leader in the MD who aimed to deliver a world class service to his customers. It was this drive and passion to bring the freshest possible coffee experience to each and every customer that really struck a chord with me – producing the freshest coffee in the country at that time. When I visited the flagship independent coffee bar, Tinderbox in Glasgow, I tasted the best coffee I have ever had! I just knew this was the pinnacle of a coffee drinking experience; the quality, the service and the efficiency brought to customers was just second to none. And this is where I could see how this passion was delivered and I really bought into that. Has it always been about coffee for you? Yes it has but even more than that, for me, it’s also about the welcome and the experience for customers. It’s about bringing them a consistently good quality coffee and standard of service, day in, day out. It’s the first place we looked at as a destination for a coffee bar business. Family were here; our parents were locally based and we have a family business connection in the town too. We also saw it as a key opportunity as there was really nothing like this in Skipton. 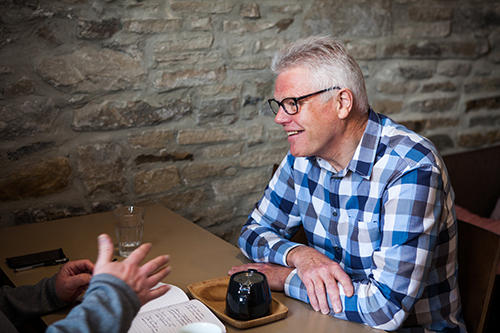 So we knew we could create something different – the first bespoke, independent coffee bar that could be appealing to both the local market and to those visiting the Yorkshire Dales. Has it always been part of your grand plan to open a coffee shop? Not one bit! It never entered my head! But I had reached a stage in my professional life where I questioned how much longer I wanted to be driving 60,000 miles each year. 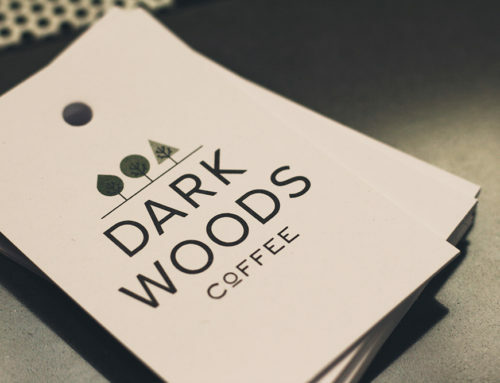 The company was taking a few different directions and the opportunity arose, out of the blue, where I could secure some financial backing for a coffee bar business. So I decided that the time was right to give this a go. It’s the 11 year Anniversary of Bean Loved, is this how you saw the business going? For me it’s always been about creating a coffee focused business that’s unpretentious with a friendly environment and a very natural feel. So the quality coffee experience delivered with excellent service has always been at the heart of Bean Loved. But adding in my chef background in bringing about the food element, which is what we’re about today, is what I think makes Bean Loved’s offer truly unique. We have always set out to do things differently so our food is created with that Bean Loved twist and we’ve now become a destination for great coffee AND food which sets us apart from the rest. I couldn’t be happier with where we’re at! 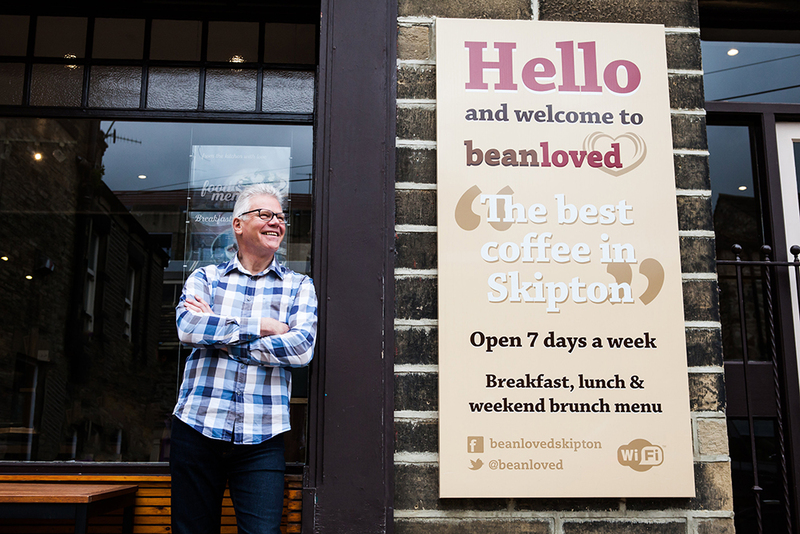 How do you think your customers would describe your experience of Bean Loved? And how would you like your customers to feel about Bean Loved? The comments we have on the wall downstairs as you come in really sums it up for me. 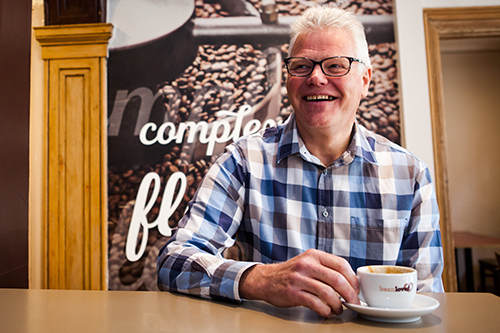 Our passion for coffee, for food and the lengths we go to to achieve the level of quality and the experience we bring to our customers is something quite unique. Our customers tell us that this is something they don’t get anywhere else and that’s why they keep coming back. 11 years ago when young families joined us for coffee and now their grown up children are also our customers, is something that makes me very proud and it means such a lot to me personally. So what’s next for Bean Loved? It’s really about continuing to develop and build on the belief in what we do. We want to carry on being innovative and creative with our food element as well as developing the area of retail sales; for example creating and marketing our own ranges of coffee, teas, homemade jams and chutneys and taking that online as a sales offer. In other words, really developing the Bean Loved brand. One of our goals is to roast our own coffee; to create our own unique blend which will build on what we currently do in collaboration with our trusted roasters. It’s certainly something I’d like to see developing as an extension of our passion. What stands out as a highlight for you in the 11 years so far? Being recognised for what we do and the quality we deliver. For example being featured in the very first edition of the Northern Independent Coffee Guide is a real highlight for me as well as being consistently highly rated in the Beverage Standards Association Awards, Trip Advisor Excellence Awards and the various features in newspapers and magazines we have secured. A very personal highlight for me is working as a Father and Son team – as passionate and enthusiastic business owners – and in Wes, I know the business is in safe hands when the time comes for me to relax a little! Of course, developing the very loyal customer base that we have is one of the biggest highlights for me in business. That’s when I know the hard work has really paid off.